Meghan Markle’s background may be what many would consider unconventional for a royal, but her interests and experience could stand her in good stead in the House of Windsor after her marriage next spring to Prince Harry. 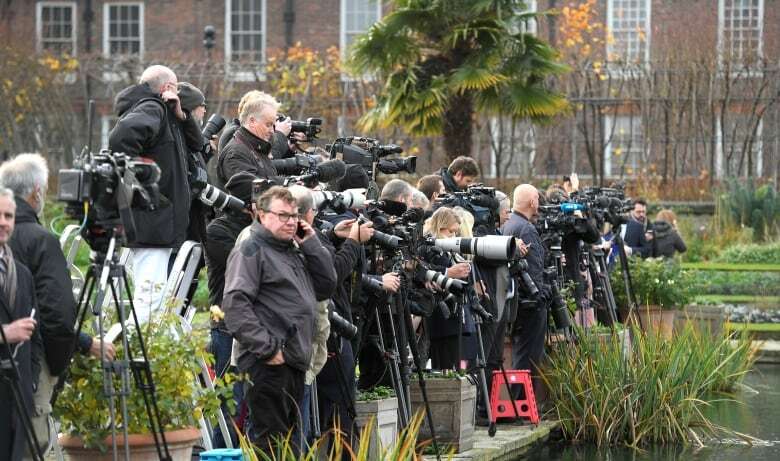 Watching Prince Harry and Meghan Markle meet the media for the first time after their engagement was announced, there was a sense the California-born actress was as ready as she could be for the full glare that will come with marrying into the Royal Family. 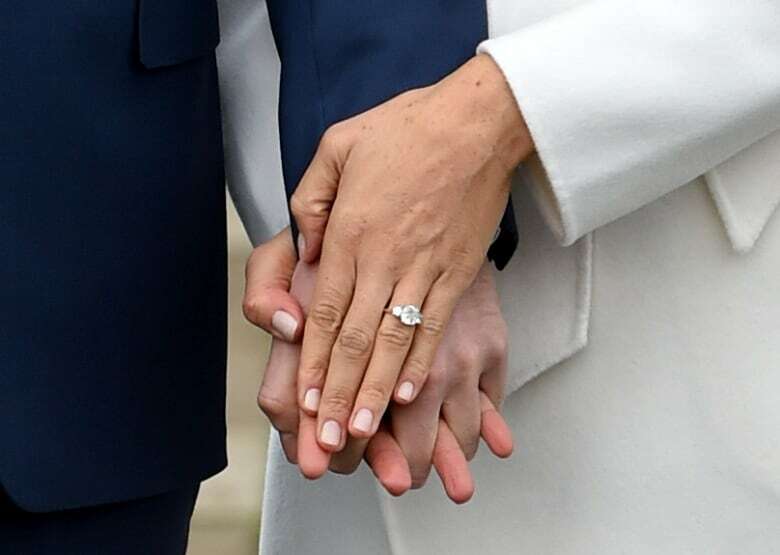 Markle, the 36-year-old former Toronto resident who will marry the fifth in line to the throne next spring, walked confidently arm and arm with her prince into the November chill Monday in the garden at Kensington Palace in London. 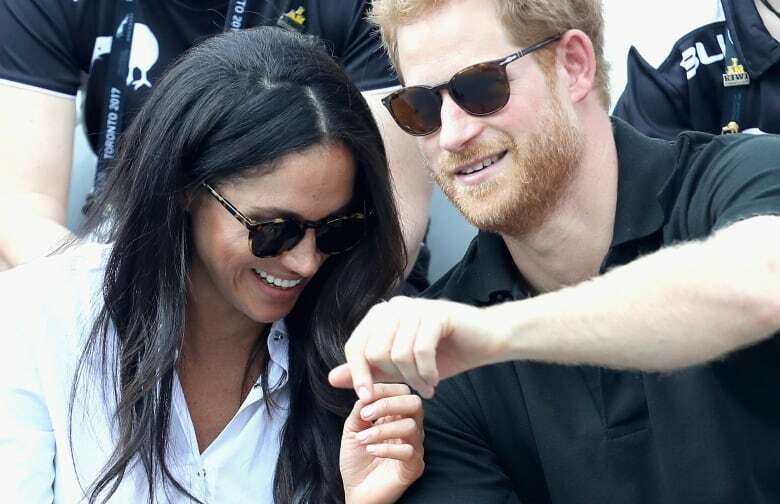 She waved, as royals so often do, and — briefly — showed off the lustrous three-diamond ring she received earlier this month. "Meghan, as you saw, … at that all-important photo call is clearly very confident in front of the cameras," Katie Nicholl, royal correspondent for the Mail on Sunday and Vanity Fair, told CBC News. "She seems to be taking all of this in her stride." Beyond the cameras that will follow Markle everywhere she and Harry go, however, there is a sense that her background — which in many ways is considered unconventional for a royal — will stand her in good stead in a House of Windsor looking to the future. "This feels very modern. It feels very new," said Nicholl. "It certainly is going to be, I suspect, the relationship that really nudges the Royal Family into the 21st century." In some ways, it will be an easy fit for Markle, who had been based in Toronto for her role in the USA Network legal drama Suits. "One thing that Harry and Meghan have in common is their passion for humanitarian work," said Carolyn Harris, a Toronto-based royal author and historian. Harry, 33, is involved in causes ranging from support for mental health to his Invictus Games for wounded, injured and sick soldiers and veterans. Markle has worked with World Vision and the United Nations. She has travelled to Rwanda and advocated for issues ranging from clean water to rights for women and girls. "As a member of the Royal Family, her philanthropic work will expand and she will be in demand to become a patron of various charities," said Harris. "She will fit very well into the Royal Family in terms of her passion for philanthropy." Markle seems to relish that opportunity, talking Monday of how it's been "really exciting" to contemplate the transition from acting into her new role. "The causes that have been very important to me I can focus even more energy on," she said in the interview she and Harry gave to the BBC that was broadcast after the announcement. "I think you realize once you have access or a voice that people are going to listen to, with that comes a lot of responsibility, which I take very seriously." As much as her time in the limelight may have helped lay groundwork for the life ahead, Markle herself acknowledged the interest that focused on her since her relationship with Harry became known was unprecedented. "There's a misconception that because I have worked in the entertainment industry that this would be something that I would be familiar with," she told the BBC. "But, even though I'd been on my show for, I guess, six years at that point, and working before that, I've never been part of tabloid culture, I've never been in pop culture to that degree and lived a relatively quiet life, even though I focused so much on my job." That, she said "was a really stark difference out of the gate." Out of the gate, there were also references to her ethnicity, as the daughter of an African-American mother and white father. Such attention was "disheartening," Markle said in the BBC interview. "It's a shame that that is the climate in this world to focus so much on that or that that would be discriminatory in that sense." Her ethnicity could be a plus as she joins the Royal Family. "I don't think it's something that has really been seen as a negative thing here at all. I think people welcome it," Roya Nikkhah, royal correspondent for the Sunday Times, told CBC News. "I think it will be great for all sorts of reasons here. She's a very accomplished woman. I think her ethnicity and her African background is not an issue whatsoever when it comes to a royal marriage." 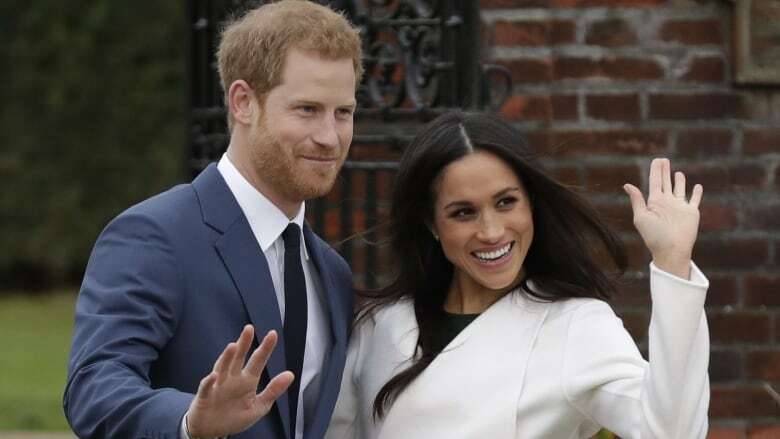 Others see the potential for the couple to be role models in a multicultural world, and that Markle's mixed race should be an advantage, showing a new tolerance and modernity from the monarchy. "This is a big change from what might have been a problem even 10 or 20 years ago," said author and royal biographer Sally Bedell Smith. "I thought Meghan was very articulate [in the BBC interview] on the subject, saying that she and Harry saw each other for who they are, and ethnicity didn't come into it." That background may also not be unprecedented in the Royal Family. "The Queen's ancestry is more diverse than we might think," said Harris. Queen Charlotte, wife of King George III, had a 15th-century ancestor from a Portuguese noble family who may have had African ancestry. "If you go far enough back in the Queen's ancestry, you're likely to find both African and Asian ancestors," said Harris. "Certainly the Queen in her position as Queen of 16 very diverse, Commonwealth realms — it can only be an asset that Meghan comes from a diverse background as well." Still, it is a new world for Markle, one with royal traditions and nuances and protocols that will have to be learned. "I would have said previously that her biggest challenge would be fitting into the arcane rituals of the Royal Family — and that may yet require adjustment — but her career as a professional actress shows that she is a quick learner and can adapt to new situations easily," said Smith. And, it seems one particular staple of royal life has already adapted to her: the corgis that are so dear to the Queen. Markle has met Elizabeth a couple of times and spoke highly of Harry's relationship with her: "Not just with his honour and respect for her as the monarch, but the love that he has for her as his grandmother, all of those layers have been so important to me. "So that when I met her, I had such a deep understanding and of course incredible respect for being able to have that time with her," Markle said. And, apparently during those meetings, "the corgis took to you straight away," Harry told the BBC. "I've spent the last 33 years being barked at — this one walks in, absolutely nothing." "Just laying on my feet during tea," Markle quickly chimed in. "It was very sweet." As much as that element of royal tradition may have embraced Markle, overall there is a sense this relationship does mark a break with the past for a House of Windsor that has been trying to find its way into the future. "People have an expectation or presumption that if you marry into the Royal Family you have to come from a very aristocratic background, that you have to be British, that you have to have a certain type of breeding," said Nikkhah. "And actually this match just shows that they've thrown all of that to the wind." Sign up for the Royal Fascinator newsletter: Your invitation to royal wedding news and analysis ahead of Prince Harry and Meghan Markle's nuptials, delivered to your inbox.